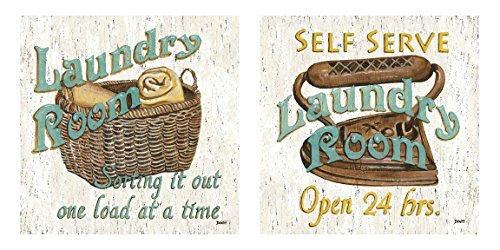 Decorate your laundry room with this cool vintage look wall plaque - "Self Service Laundry Room - Open 24 Hours". Saw-tooth hanger on back for easy hanging. Features a distressed whitewash finish. Measures 12" wide x 6" tall x 3/8" thick. Published by Gango Editions and created by Debbie Dewitt. 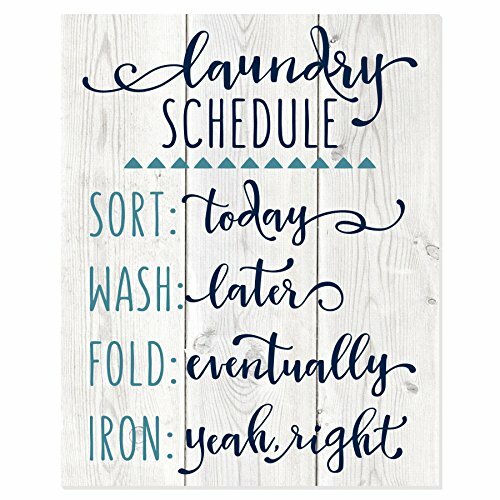 These fun laundry prints are the perfect and affordable way to add a splash of art to your laundry room. Satisfaction is guaranteed at Poster Art Now. 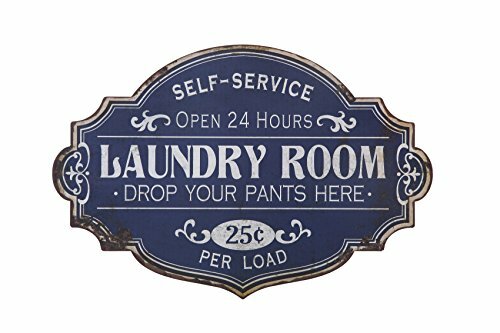 This charming vintage-look personalized laundry room sign lets guests know where they may drop their dirty laundry! 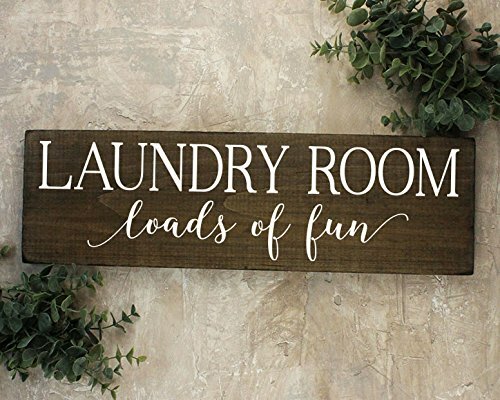 It is truly the perfect finishing touch any laundry room needs for a fun, personalized feel! 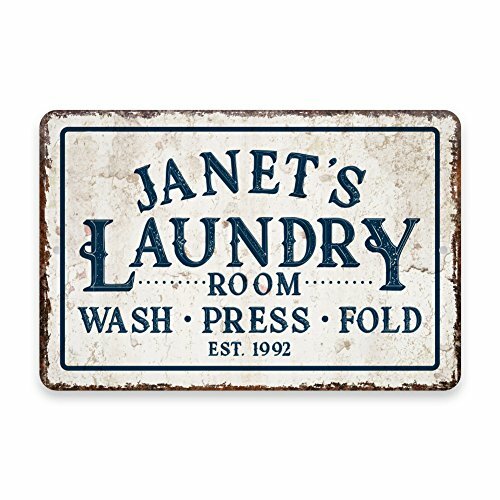 Featuring a distressed - rusty metal sign look, this new personalized metal sign adds the perfect vintage touch to your space. 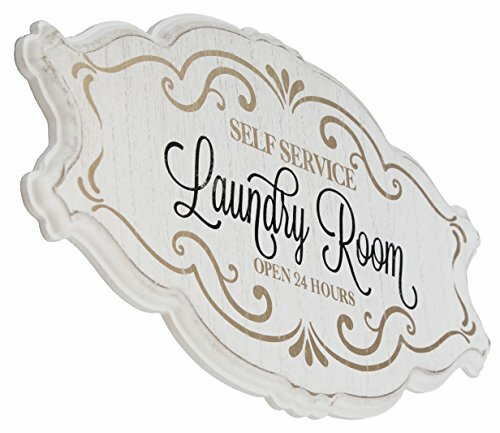 You can easily personalize the sign by selecting Customize Now and enter the text you would like. 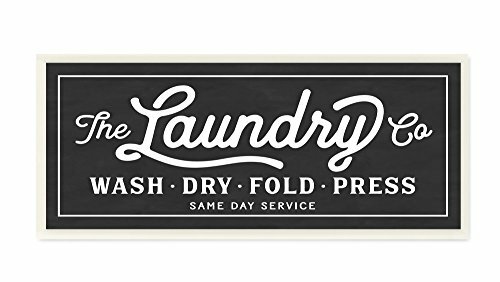 The sign is made of aluminum, measures 8" x 12" and can be used inside or outdoors. The image is on one side. 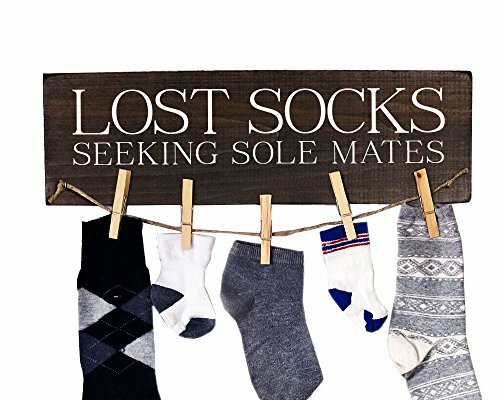 The sign has two holes for easy hanging. Hanging hardware is not included. 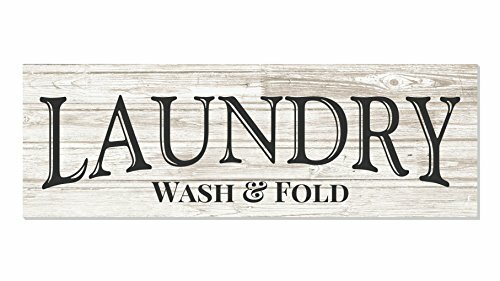 Compare prices on Laundry Signs at ShoppinGent.com – use promo codes and coupons for best offers and deals. Start smart buying with ShoppinGent.com right now and choose your golden price on every purchase.